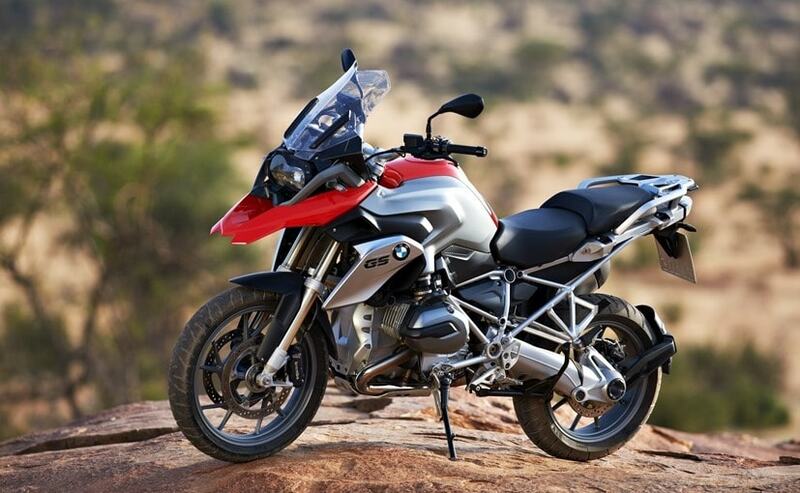 BMW R 1250 GS and the BMW R 1250 GS Adventure will come with a new 1,254 cc twin-cylinder engine which will churn out 134 bhp instead of the 123 bhp that it develops now. It is open secret that BMW Motorrad was planning to significantly update its global best-selling models, the R 1200 GS and the R 1200 GS Adventure and the fact that the updated models will be called the BMW R 1250 GS and the BMW R 1250 GS Adventure. But now, details about the updated models have emerged which confirm that the two bikes will get an updated engine and much more. For starters, the current 1,170 cc boxer twin engine will be replaced by a 1,254 cc twin which will churn out 134 bhp instead of the 123 bhp that it develops now. The engine might also feature variable valve timing, although that hasn't been confirmed yet. The top speed remains the same at 212 kmph for the R 1200 GS and 218 kmph for the R 1200 GS Adventure. Reports suggest that the sound emission of the bike too has dropped from the current 92 dB on the 1200 GS models to 88 dB on the 1250 GS bikes. The 1250 GS also gains weight, with the R 1250 GS weighing in at 249 kg and the R 1250 GS tipping the scale at 268 kg. The fuel tank capacity will be 20 litres for the 1250 GS and the 1250 GS Adventure will have a capacity of 30 litres of fuel. There will not be a significant change in the dimensions, with the width and the height remaining same but the length increasing by 15 mm on both bikes. In all probability, the BMW R 1250 bikes will be unveiled at the Intermot Motorcycle show in Cologne, Germany in October and also at the EICMA show in Milan, Italy in November, 2018. The R 1200 GS badge has been around since the last 18 years and with Euro V emissions coming and more options in the segment, it is time for a proper overhaul of possibly the best-selling adventure bike in the world.